One of my favorite treats at The Disney Parks is the pineapple Dole Whip frozen yogurt. Unfortunately, due to some recent food intolerance developments, I can no longer enjoy them. Also, I’m not sure if you’ve checked the ingredients list, but there’s a lot of questionable stuff in there (dipotassium phosphate, anyone?). So, I learned to make my own! I want to pass along my homemade pineapple Dole Whip recipe to all of you in case you want to know how to make Dole Whip, as it’s perfect for summer nights. Now, I have to warn you that it doesn’t look or taste exactly like the Dole Whips you know and love. But it is close, and it is certainly delicious (if I do say so myself)! 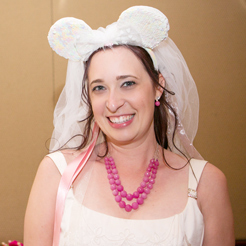 Dreaming of Disney? Whip up this frozen Disney treat & enjoy it from the comfort of your home! Step 1: Combine all the ingredients in your blender (I use a Magic Bullet) in this order: pineapple, milk, sweetener, lemon juice, and lime juice. Step 2: Blend well until the mixture is very smooth. Step 3: Transfer to a freezer-safe container and freeze for about 30 minutes or until slushy. Scoop into a glass and garnish with a maraschino cherry and tiny tiki umbrella. Eat with a straw or a spoon. I truly believe my "secret ingredient" is the golden syrup. I love this stuff! You can find it at some grocery stores in the baking aisle or Cost Plus World Market. However, you can substitute one-for-one honey, regular sugar, or your favorite sweetener. Also, another note about sweetener---I tend to use sugar sparingly when I'm cooking, so if this recipe isn't sweet enough for you, you are free to increase the sweetener to your liking! 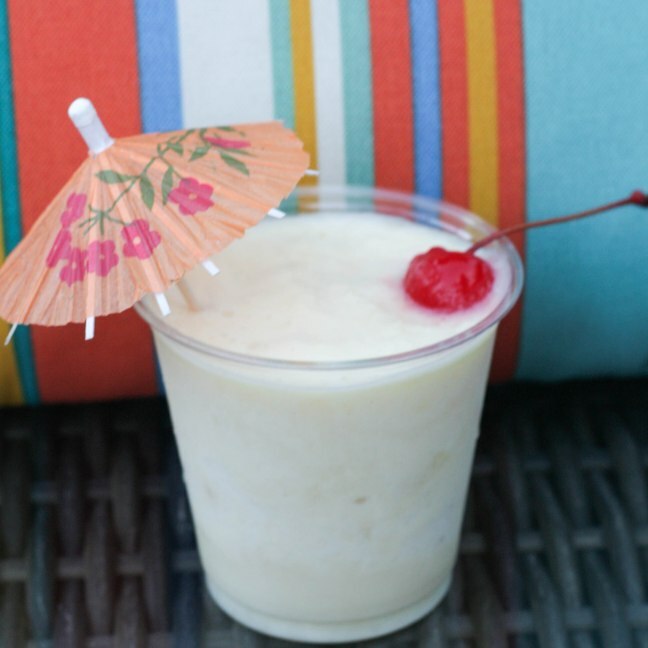 To make an "adult" Dole Whip, just add a splash of rum when tossing all the ingredients into the blender. 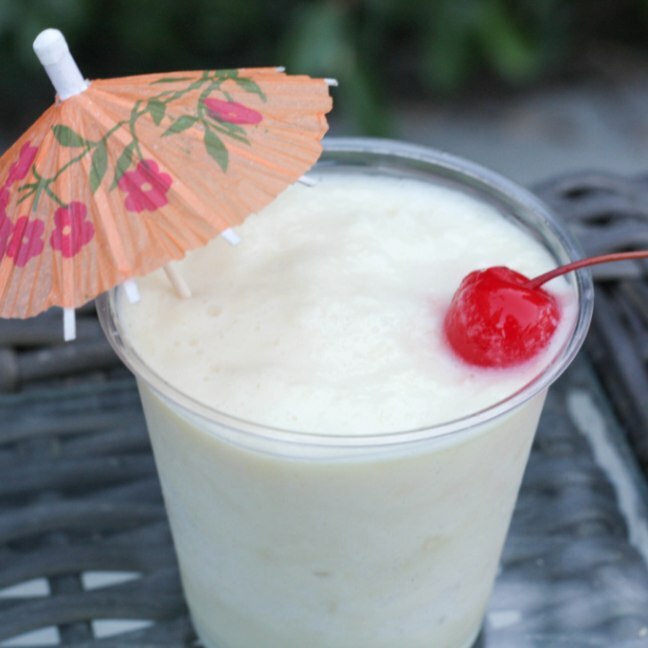 To make a Dole Whip float, set aside the pineapple juice from the canned crushed pineapple and keep in the fridge. Add a small amount to your glass right before you scoop in the Dole Whip. Then add a little more pineapple juice on top. I hope you enjoy my homemade pineapple Dole Whip recipe! If you have another variation on this delicious Disney treat, I would love to hear about it!